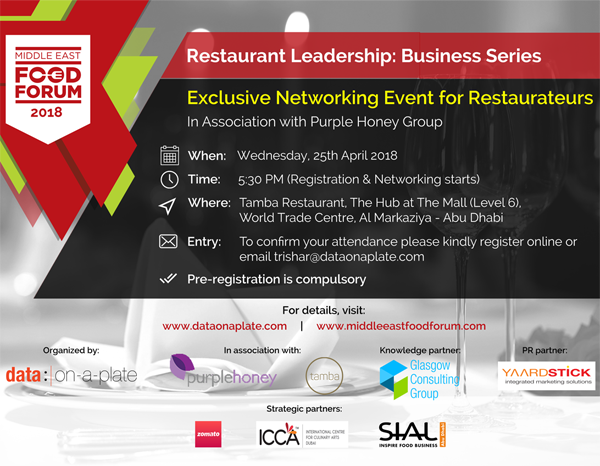 The Middle East Food Forum (MEFF) invites you to an Exclusive Networking Event of the Restaurant Leadership: Business Series. The MEFF is a unique platform that attracts the most progressive and influential restaurateurs, restaurant brands, developers, investors and consultants. Networking Events provide a fantastic forum for exchanging ideas, knowledge and have become a powerful and effective way in the F&B Industry.